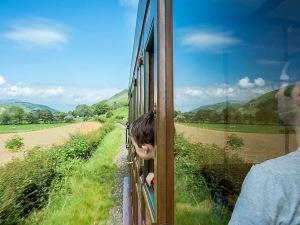 Narrow Gauge Steam Train journey offers superb views of Cadair Idris mountain range and Mawddach Estuary. 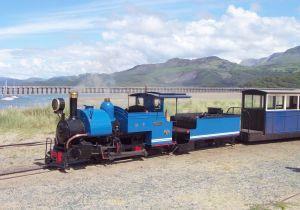 G-Scale Railway and museum at Fairbourne. Four Steam Engines operate passenger services along the 12 ¼ inch gauge track.